In Stamford, Conn., we’re highly focused on aligning growth in our community to benefit everyone who lives here. Like all stories of transition, ours has several chapters (read about it here) but, in a nutshell, we’re working to improve the health of the neighborhood in every way as a new $450 million hospital is being built right here in our midst. 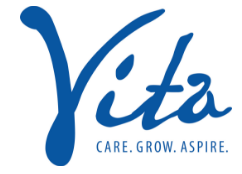 In the Vita Health & Wellness District, our programs operate on the premise that health status is profoundly influenced by the places in which people live, work and play. This truth is increasingly acknowledged by the public health community and, notably, the federal Centers for Disease Control and Prevention. It is a key factor in the so-called “social determinants of health” or, using other parlance, the upstream drivers of population health. Our new blog, Healthy Places will facilitate an ongoing conversation for the sharing of thoughts, experiences and ideas. We’ll cover such topics as housing, community development, access to healthcare and workforce training. Many of our blogs will take the form of a Q&A in which we’ll share thoughts on research, news events and op-ed pieces of interest. (We welcome guest contributors, by the way!) We’ll publish our semi-weekly blog every other Tuesday; you can also choose to receive an email each time we publish by signing up here.